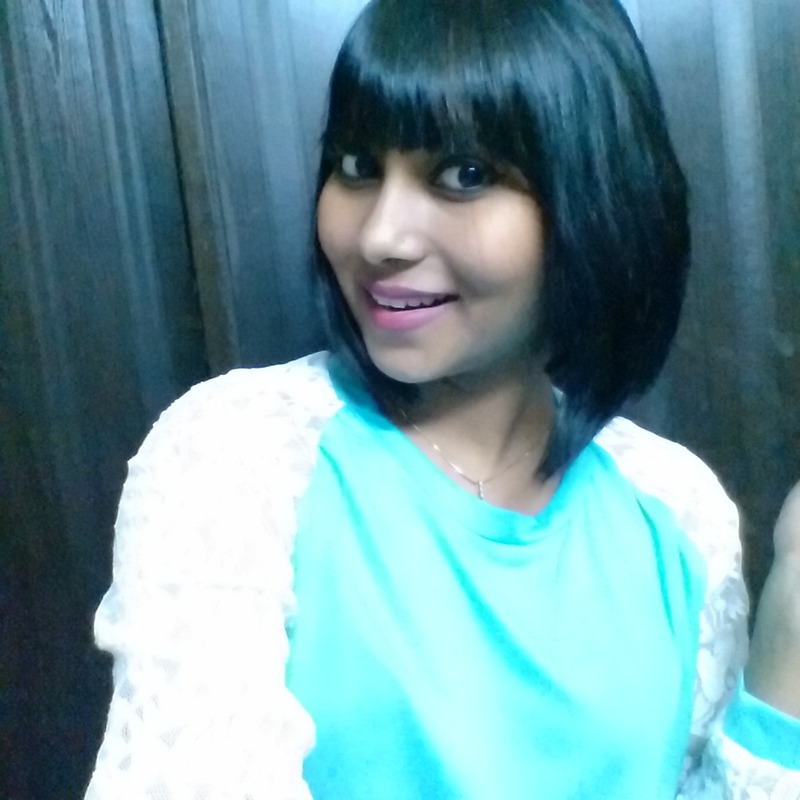 Gone short with fringes in the front. I’ve got silky straight hair with less volume, so I can only experiment with the length usually. 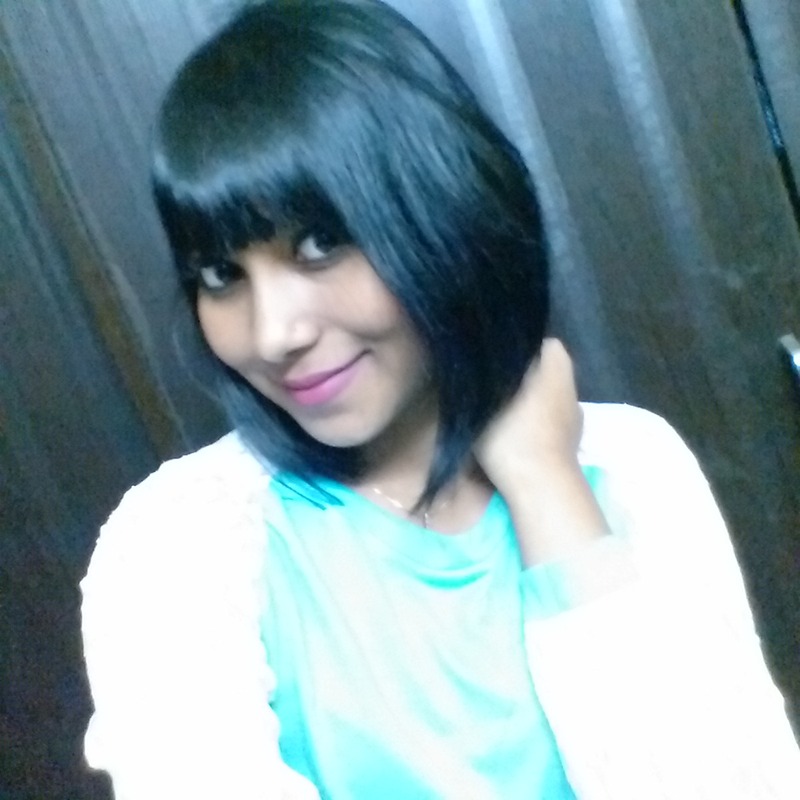 With this haircut, I have to set my hair everyday as the ends get out turns, which makes it look funny. It’s supposed to turned inwards – so I bought an inexpensive hair dryer to solve this purpose. I went online and read a few posts on hair dryers that could be used for basic styling. Wanted to choose one with hot and cold heat setting. 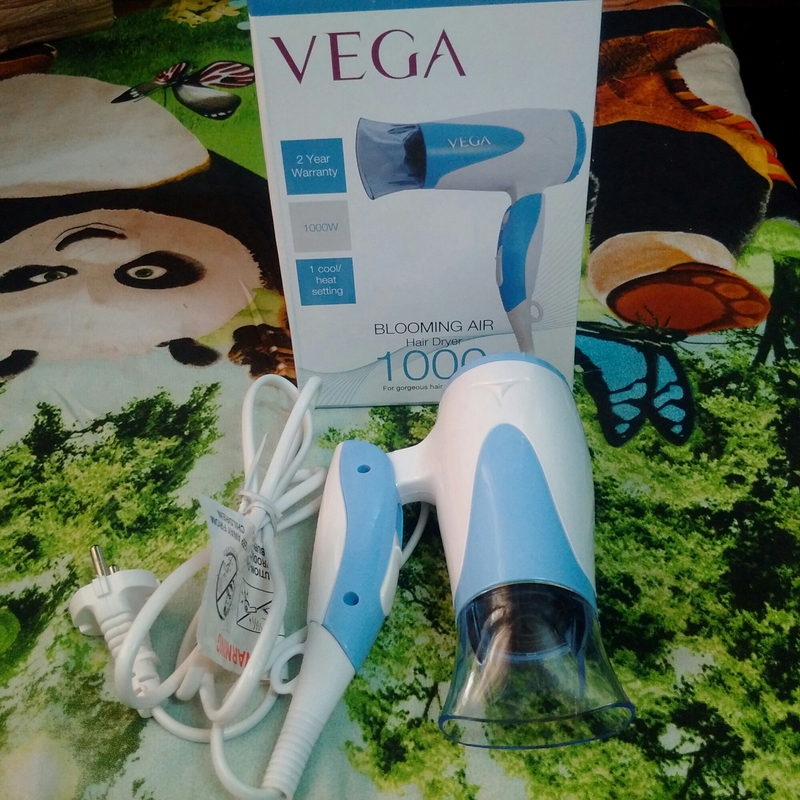 I ended up buying Vega VHDH-05 hair dryer (1000 Watts) priced at Rs. 749/- I guess I bought it for 600 bucks – which is great! The design is nice, it’s handy to use. 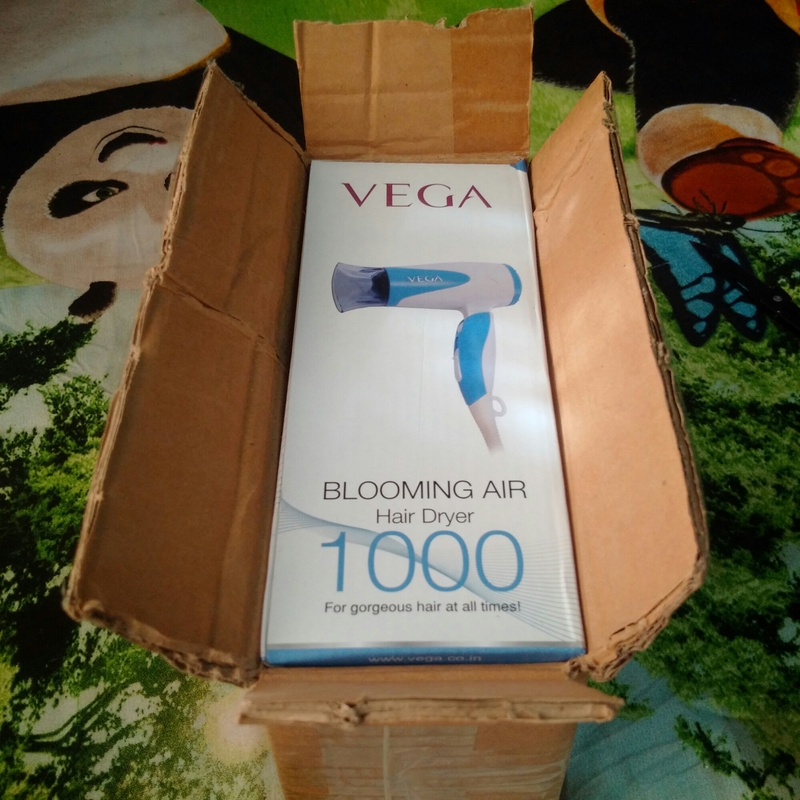 I ordered it from Flipkart and it was delivered in 3 days. I’ve been using it for 2 days now and it’s perfect for my needs. I don’t really wish to use it to dry my hair per se, but I’m sure it’s great for that purpose as well. 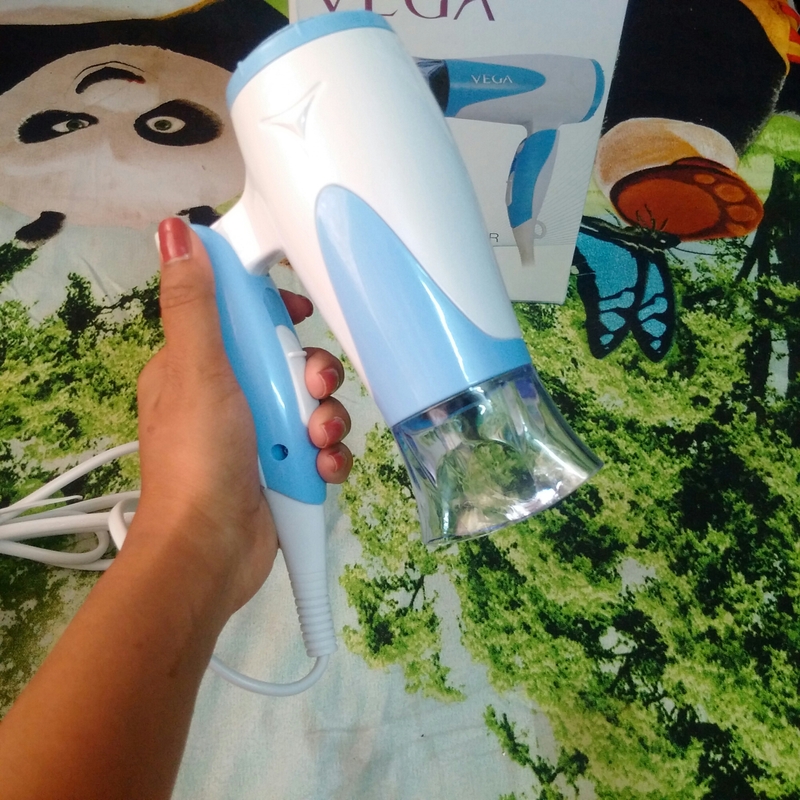 Do you know of other alternatives for this hair dryer? Which one do you use? 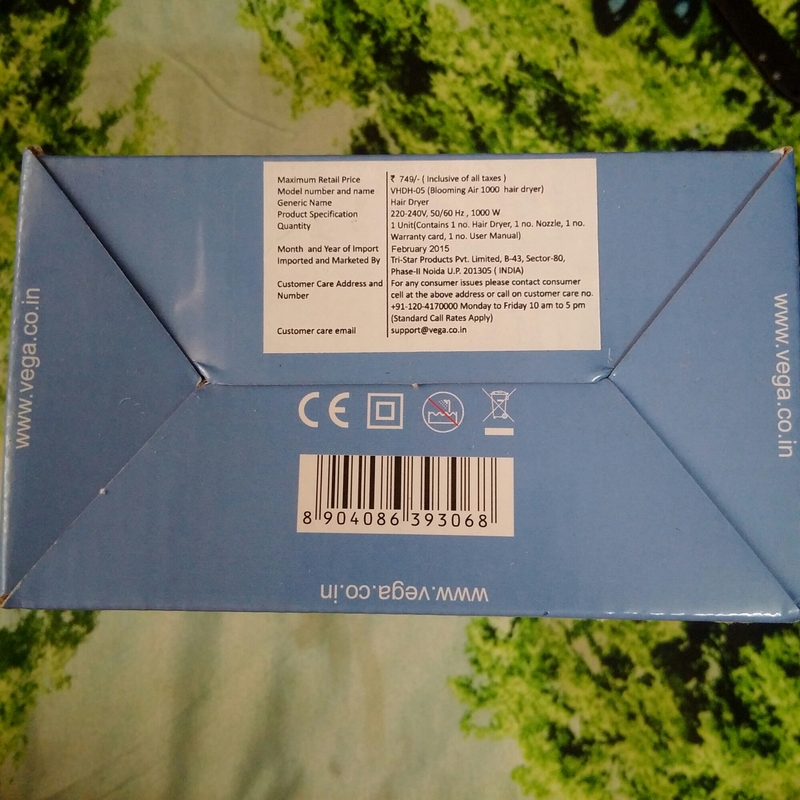 It can be opened to use as shown on box. 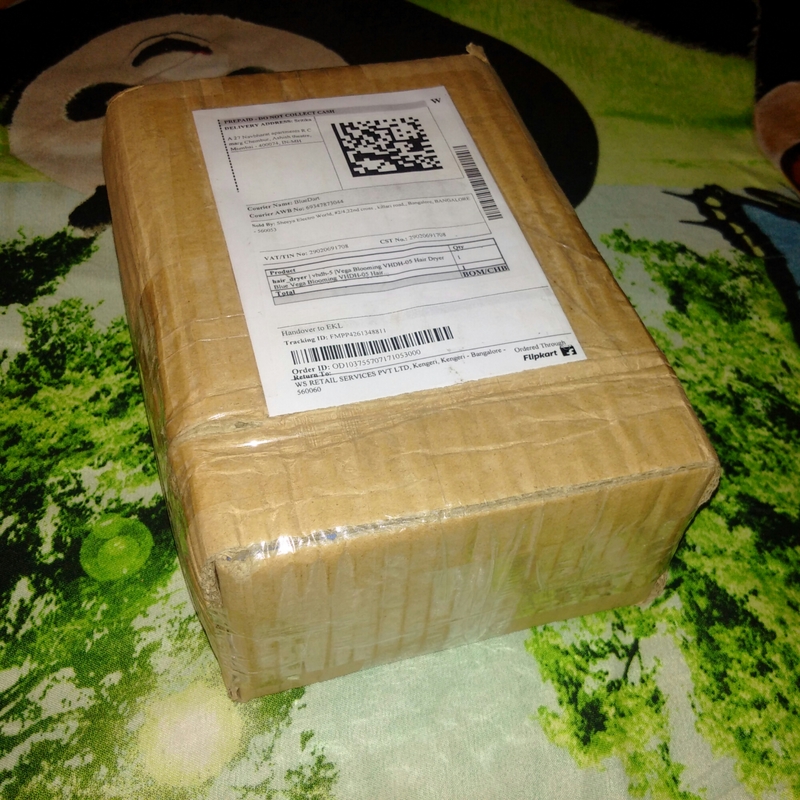 This is how it arrived – easy to store it in the box this way. Thank you for reading. Do leave comments! Cute hair style! 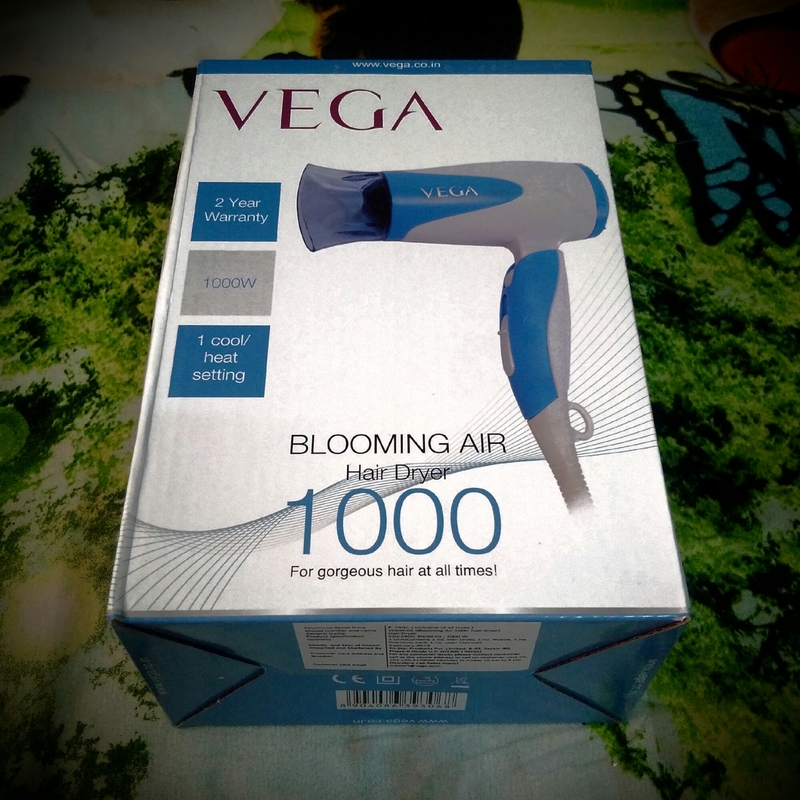 I just have a plain cheapie hair dryer, but I have been interested in getting a quality one since they are better at not damaging hair. Great review!! Previous Previous post: The cutest concept for Rakhi gifting is here!